Eli the Donkey was beginning to be a very sad story that has a happy stem cell ending. Eli lived on a prized horse ranch in California. Eli unfortunately was kicked by a thoroughbred horse and suffered a spinal cord injury. The owner very fond of Eli hoped for recovery, however when bed sores developed the situation turned grave. The owner in consultation with a veterinarian opted for a trial of horse stem cells as if Eli did not improve he would have to be put down. 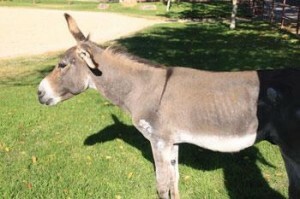 Eli received the stem cells and eventually improved to be a normal donkey. Spinal Cord Injury Stem Cell trials in the United States with embryonic stem cells were initiated, and then suspended. The biotech company sponsoring the trial cited financial difficulties for halting the study. Subsequently California Universities have provided funding for a trial. Low back pain also has clinical trials for allogenic (other person’s stem cells) stem cells for disc pain. Safety trials have already been established. The use of Platelet Rich Plasma (PRP) and Stem Cell Therapy using the patients own cells (autologous) may be performed as a same day procedure in the United States. The use of regenerative medicine is emerging as a front line treatment for a variety of disorders. 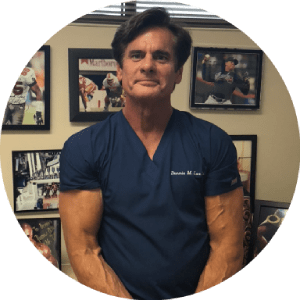 Platelet Rich Plasma (PRP) and Stem Cell Therapy may be an effective alternative for back and spine pain.